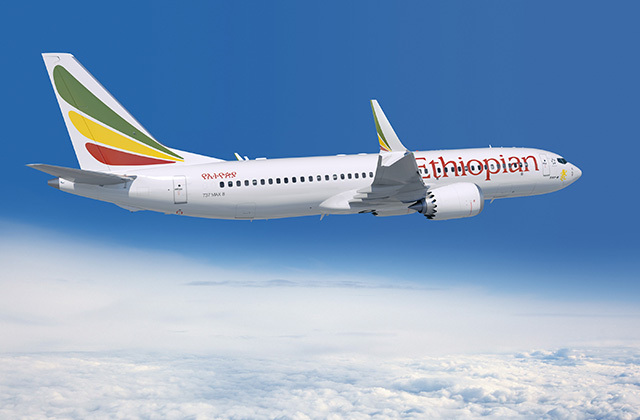 The Ethiopia Aircraft Accident Investigation Bureau (AIB) has released a preliminary report into the crash of Ethiopian Airlines Flight 302 on March 10, 2019. The tragic accident claimed the lives of all 157 people on board the new Boeing 737 MAX 8, including 18 Canadians. The ensuing investigation has been led by Ethiopian authorities and supported by international experts from various organizations. Much of the inquiry has centred on information retrieved from the aircraft’s flight data and cockpit voice recorders. She also reportedly told The New York Times that the crew had turned the plane’s Maneuvering Characteristics Augmentation System (MCAS) on and off, although she didn’t confirm how many times this had been done. Moges had previously said on March 17 that preliminary information from the flight data recorder — which was taken to France for analysis — had indicated “a clear similarity” to that retrieved from a Lion Air 737 MAX 8 which crashed last October, killing all 189 people on board. The MCAS system is suspected of playing a role in both accidents, although final reports are still pending. The system was added to the 737 MAX family to counteract an upward pitching tendency caused by the new type’s larger, more fuel efficient engines. When deployed, the MCAS was intended to avoid a stall by helping pilots bring the nose of the plane down during manual flight. In an April 4 statement, Ethiopian Airlines Aviation Group commented on its flight crew’s actions during the emergency. “The preliminary report clearly showed that the Ethiopian Airlines pilots who were commanding Flight ET 302/10 March have followed the Boeing recommended and FAA approved emergency procedures to handle the most difficult emergency situation created on the airplane,” said the airline. Boeing itself released a statement later on April 4. The manufacturer said the preliminary report indicates that erroneous angle of attack sensor data triggered the MCAS function during the flight, as it did during the Lion Air 610 flight. Boeing continues to work with the U.S. FAA and other regulators to develop and certify the software update and training program. As well, the manufacturer is providing technical assistance to accident investigators. Click here to watch a video from Reuters for more information on the preliminary report. Read the Ethiopia Aircraft Accident Investigation Bureau’s preliminary report here. So SAD …preventable if BOEING was not so GREEDY …this makes me so choked at BOEING !! !